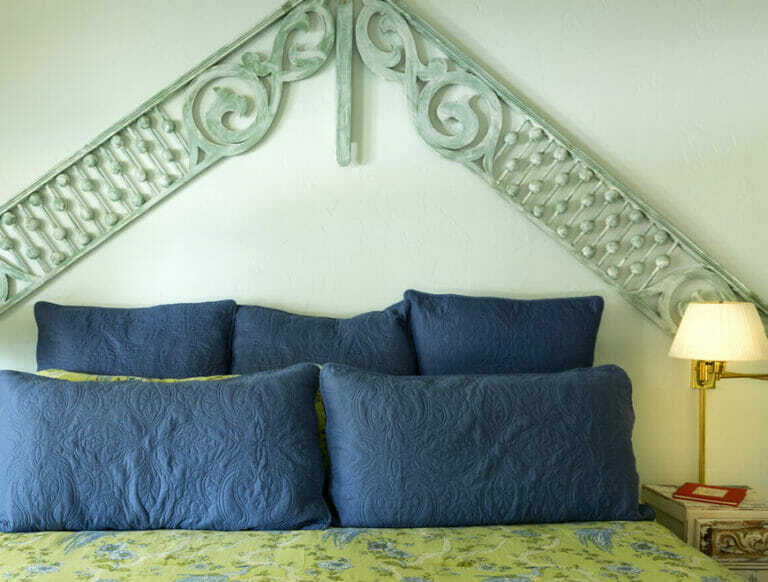 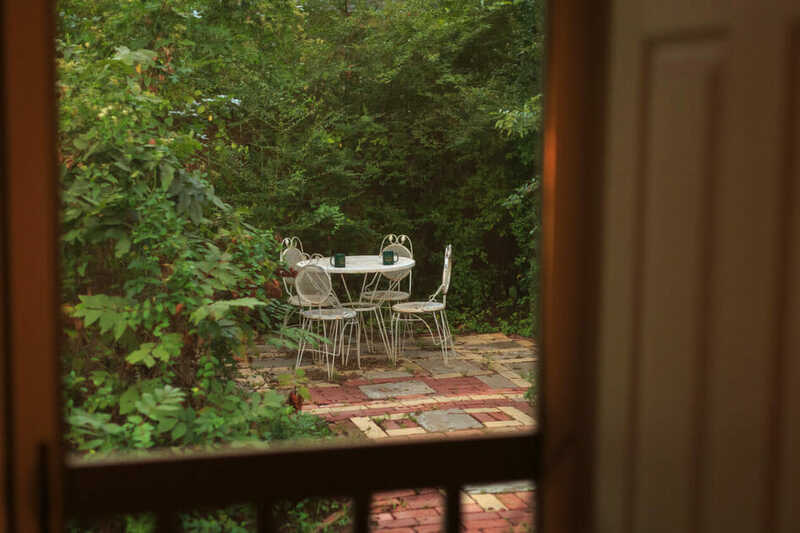 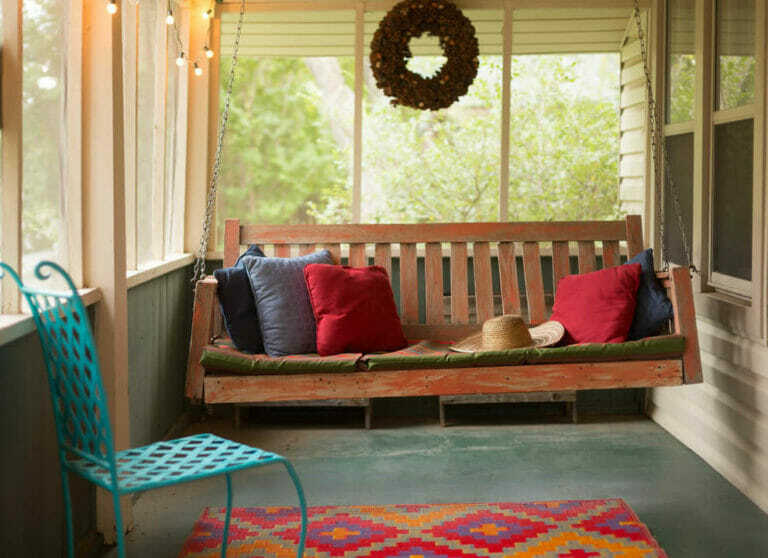 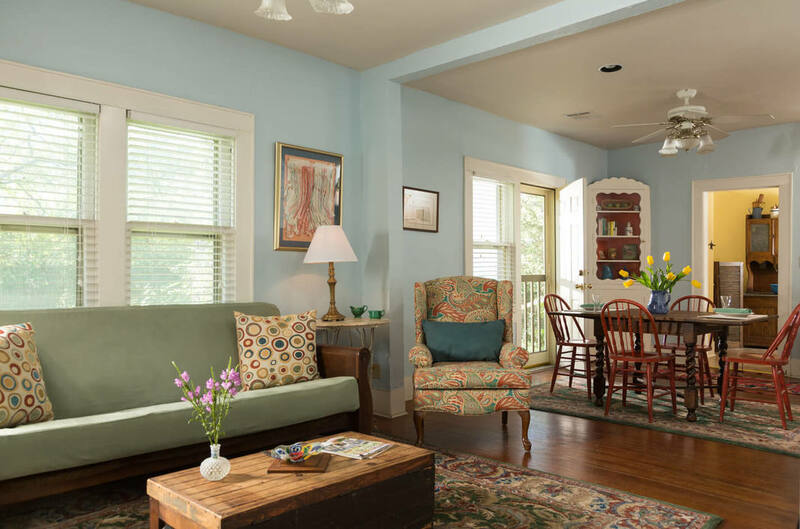 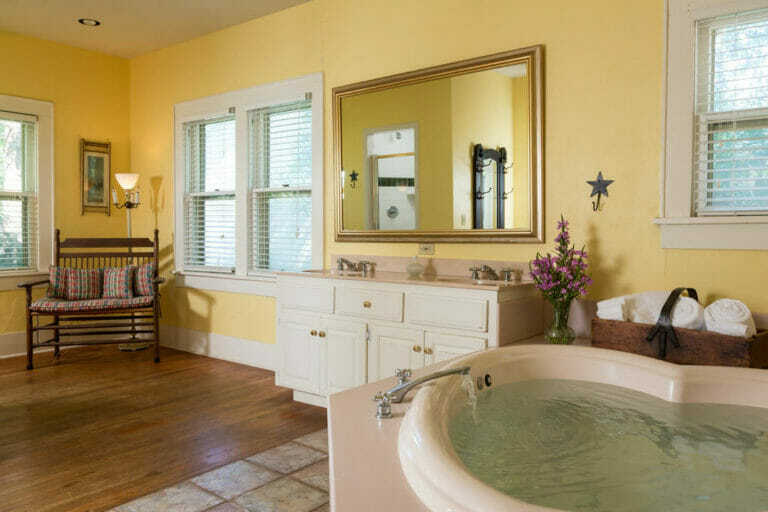 Hidden Hollow greets its guests with wonderful coziness, rich wood floors, an inviting porch swing, walking gardens and stone paths, and a screened-in front porch. 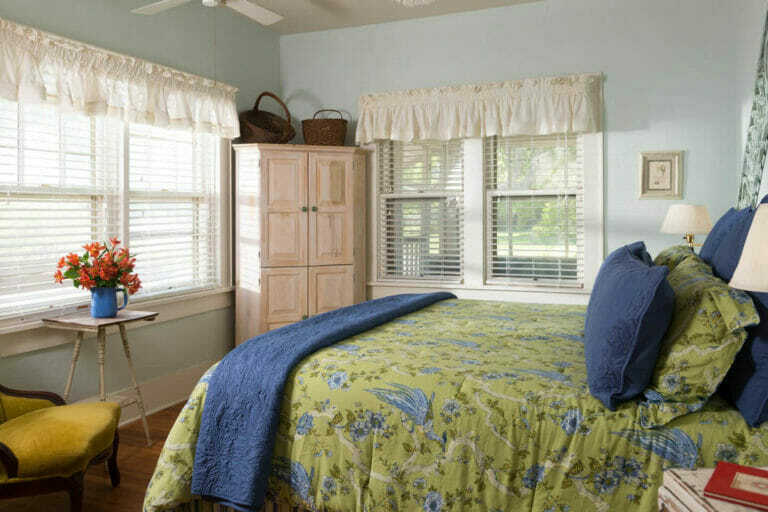 Relaxation starts the moment you enter this cottage, tucked just across the street from The Montford Inn. 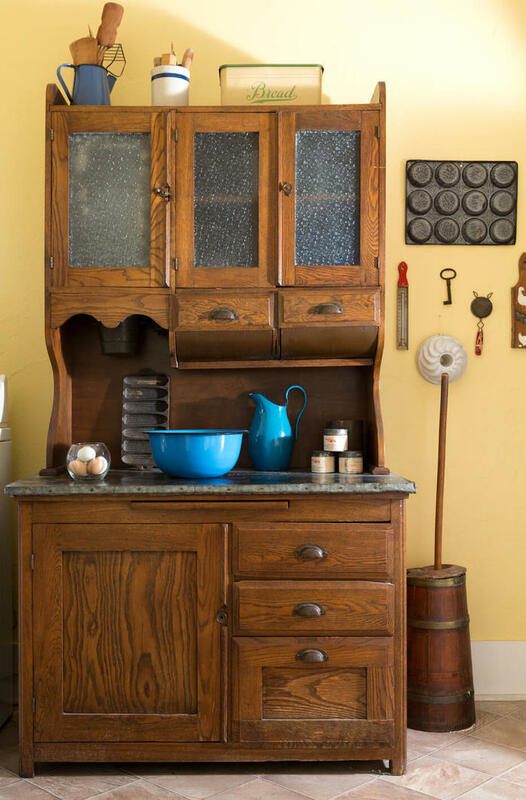 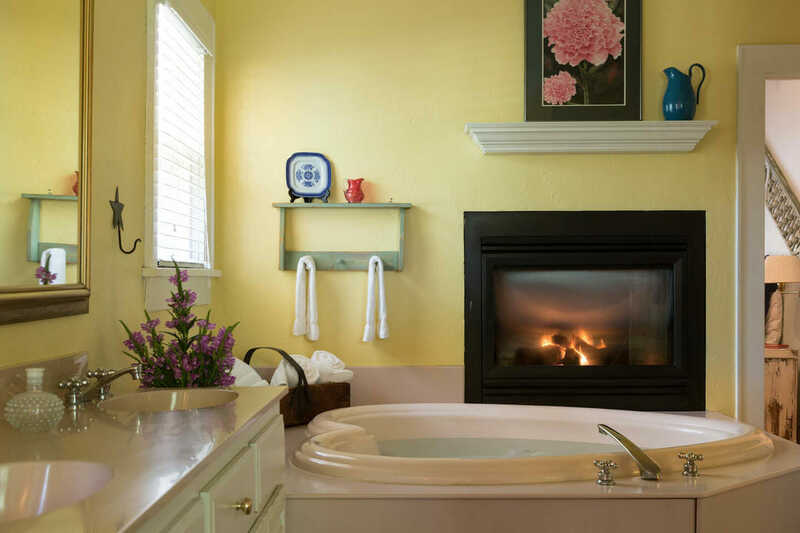 You can enjoy your exquisite breakfast, delivered to your cottage each morning, near one of the two featured fireplaces, on the front porch, or outside at a table among the beautiful gardens. Renewal and rest start as you get a wonderful night’s sleep in the king-size canopy bed or unwind in the heart-shaped whirlpool tub. 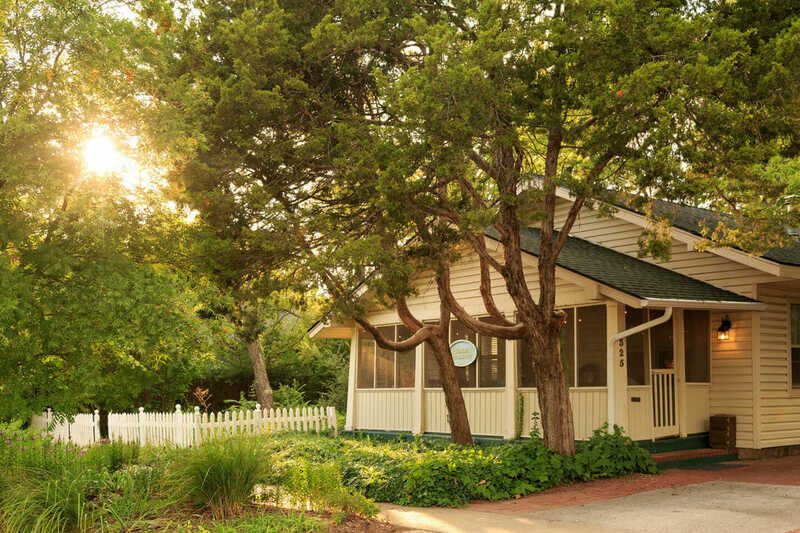 This cottage also features a full entertainment center, microwave, and refrigerator – everything you need to enjoy or prepare for the University of Oklahoma action or exploring Norman, right from your relaxing getaway.